With eye catching aesthetics and state-of-the-art technology, Nike Golf takes innovation to a new level with the world’s first High Speed Cavity Back fairway woods and hybrids that conform to USGA and R&A Rules. 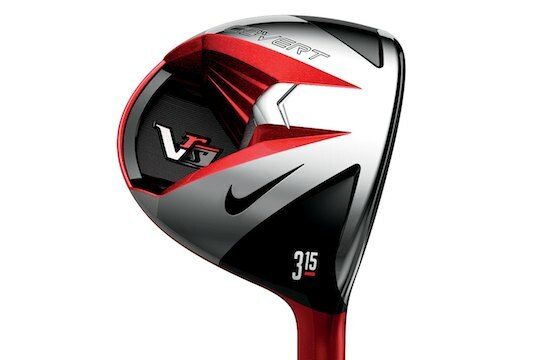 The Nike VR_S Covert fairway woods and hybrids exude innovation with an iconic look and high performance technologies. Like the Nike VR_S Covert Drivers, the VR_S Covert fairway woods and hybrids include three proprietary technology platforms: High Speed Cavity Back; FlexLoft adjustability (in Tour models only); and NexCOR face – all combining to create unparalleled distance, control and forgiveness. The High Speed Cavity Back in the VR_S Covert is a technology used in irons, and now brought to drivers, fairways and hybrids for the first time by Nike Golf. The result is greater distance and control. The Cavity Back is visible from the sole view of the club, but is covered by the crown to be more pleasing at address – hence the name Covert. By incorporating this new hidden geometry into fairway woods and hybrids, Nike Golf engineers have been able to move the weight of the club to the corners, raising Moment of Inertia (MOI) to increase forgiveness and add even more distance to off-centre shots. Nike Golf’s FlexLoft is a simple pull, turn, and push/tighten mechanism that allows for an intuitive adjustment system. The patented Dual Axis adjustment allows golfers to choose their loft and face angle independently of each other by de-coupling loft from face angle. This all leads to an optimal ball flight for more distance as well as enhanced workability. With FlexLoft adjustability in the VR_S Covert Tour fairway woods and hybrids, athletes are able to fine-tune their Nike arsenal to meet the challenges of the golf course. Distance gaps between irons and woods are resolved through simple loft and face adjustments, giving athletes more range and versatility in their bag. The NexCOR face technology featured in the VR_S Covert fairway woods and hybrids is designed to deliver faster ball speed and longer shots from a wider area of the face. NexCOR creates more speed at impact by employing variable face thickness that increases the ball speed off the clubface, especially on the bottom half where players are most likely to make contact. The VR_S Covert fairway woods and hybrids will be available on March 1, 2013. Both will be offered in two models, the VR_S Covert Tour and VR_S Covert. The VR_S Covert Tour fairway woods and hybrids feature the FlexLoft adjustability technology. The VR_S Covert woods and hybrids offer a fixed head in 3 and 5 woods, as well as 2, 3, and 4 hybrids. Both models will come with proprietary Kuro Kage shafts that are produced with higher carbon fibre density for superior strength.